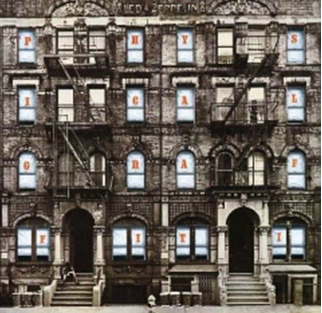 On this day in 1975, Led Zeppelin’s Physical Graffiti was released. The website Gothamist included it in their series NYC Album Art, which includes the album cover, a story about the album and other stuff that readers here might enjoy, including a YouTube playlist. The Physical Graffiti entry in the series includes NY Times critic John Rockwell’s Top 10 list for 1975. He lists Zep’s big album as an honorable mention and points out in the intro that he likes new music, which is why his list is topped by a couple of youngsters, Bruce Springsteen and Patti Smith. This entry was posted in albums, Cover Art, link, youtube song. Bookmark the permalink.